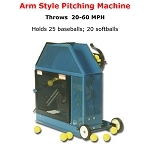 Here, you will find every pitching machine offered on our website. 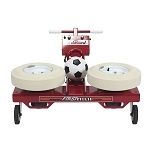 Look at them all, one by one, or choose a sub-category from the sections at the top of the page to narrow down your selection. 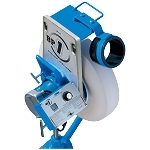 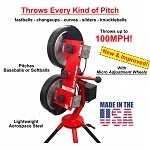 Below the product listings, you can find even more information about the discount pitching machines found here. 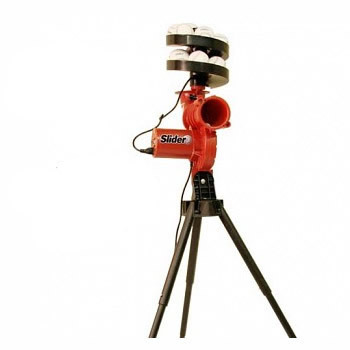 Louisville Slugger pitching machines are super lightweight and portable. 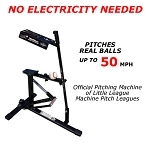 They require no electricity at all - not even a battery - and are being used by many leagues that employ pitching machines instead of live pitchers. 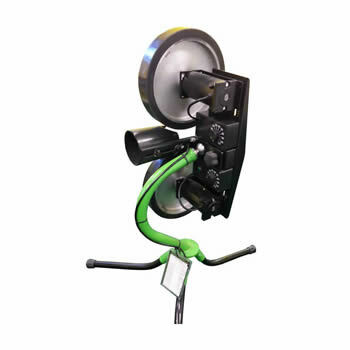 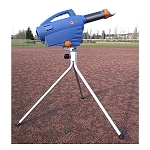 Zooka Sports pitching machines offer a whole new level of portability to the game. 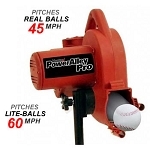 Their no-wheel pitching machines use compressed air to shoot balls like a cannon at batters and fielders. 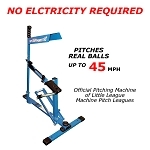 No power cords are needed at all; their machines run on an enclosed rechargeable battery that is capable of throwing up to 800 pitches per charge. 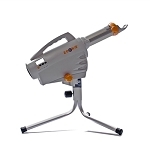 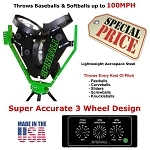 They are also super lightweight, weighing less than 30 pounds including the pitching machine tripod stand. 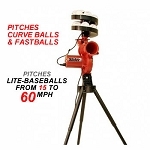 Best of all, you can program a Zooka pitching machine to randomly change pitch speeds! 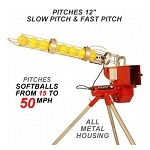 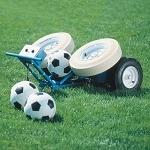 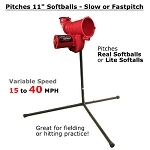 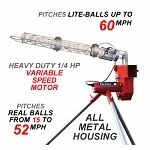 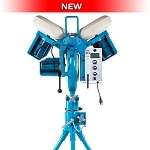 Heater Sports pitching machines are the safest and most economical backyard pitching machines you can buy. 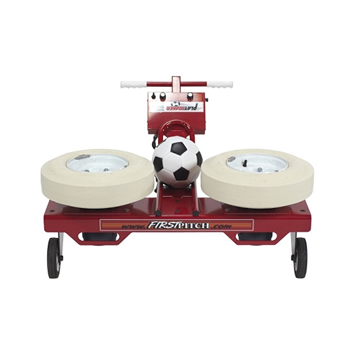 They feature fully enclosed wheels to protect both the machine and those who are using it. 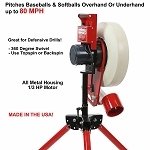 Great for developing the skills of young hitters, all Heater pitching machines feature a 30 Day Money Back Guarantee and a Full One Year Manufacturer's Warranty. 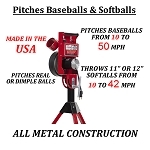 First Pitch features all metal construction pitching machines with some of the most powerful motors you'll find in any pitching machine. 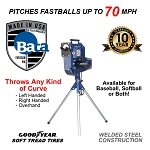 Made completely in the USA, they were the first manufacturer in the industry to feature a 5 Year Warranty and a Satisfaction Guarantee. 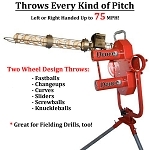 They are truly the best value for the money of any pitching machines made today! 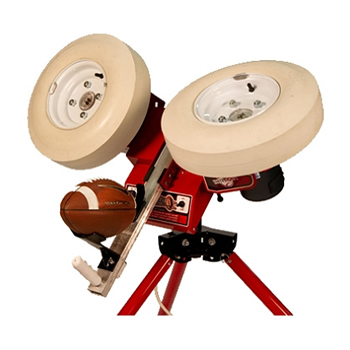 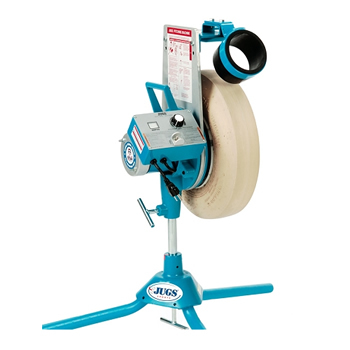 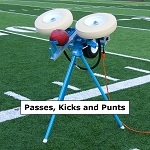 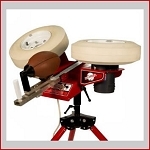 JUGS Sports is undoubtedly the best known manufacturer in the pitching machine business. 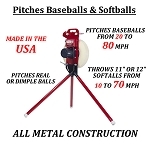 First to offer a 5 Year Warranty, they are used by more than 203,000 high school, college and professional baseball and softball teams. 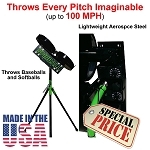 Known for their amazing precision and outstanding durability, many people say that they have been using their JUGS pitching machine for more than a decade with no problems and 94% of current Major League baseball players say that they used a JUGS pitching machine before making it to the pros. 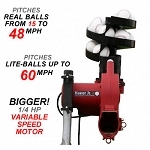 Rawlings-Spinball Sports makes some of the most high-tech pitching machines in the game. 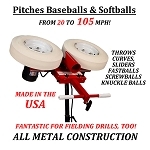 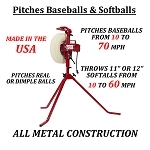 Made in the USA, their two wheel and three wheel pitching machines are the easiest machines on the market to change pitch location. 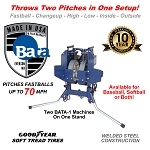 The all digital Rawlings machines make pitch selection a breeze. 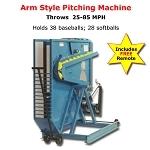 Press one button for type of pitch and another for speed and the machines automatically throw the pitch. 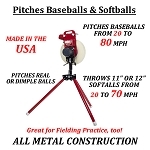 The Spinball Wizard pitching machine does the same thing, only with analog input. 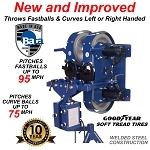 BATA Baseball makes not only some of the best pitching machines in the game, but all of their machines are super safe, featuring fully enclosed wheels. 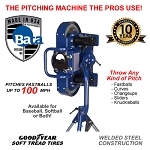 100% Made in the USA, BATA machines feature steel legs and all metal housing and are the pitching machine of choice for numerous Major League baseball teams. 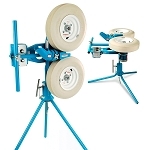 All BATA pitching machines feature a limited 5 Year Manufacturer's Warranty. 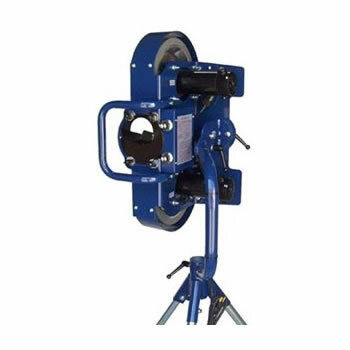 If you are having trouble deciding what is the right pitching machine for your family, definitely check out our article on how to select the best pitching machine. 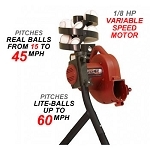 It covers many factors that people forget to consider when they are deciding which pitching machine to buy. 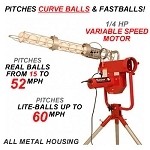 Still got questions? 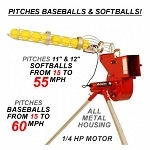 Give us a call at 1-800-651-7130; we love helping people choose the best pitching machine for their family!